I have so many kitchen gadgets that get lost in the back of my deep cabinets that I forget I even have them! 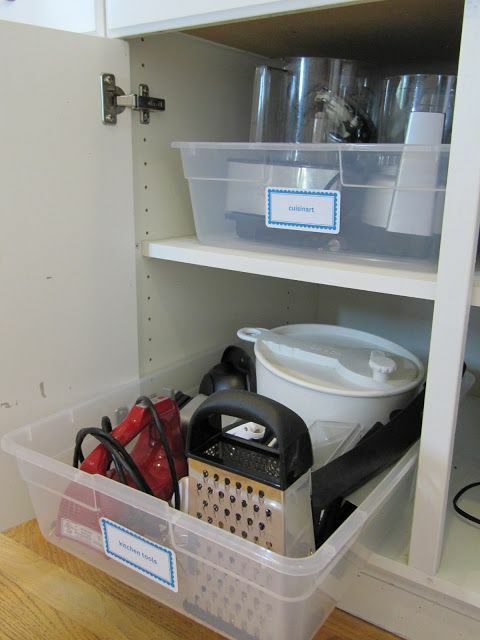 Here is a tip from Everyday Organizing: use plastic bins as pull-outs! 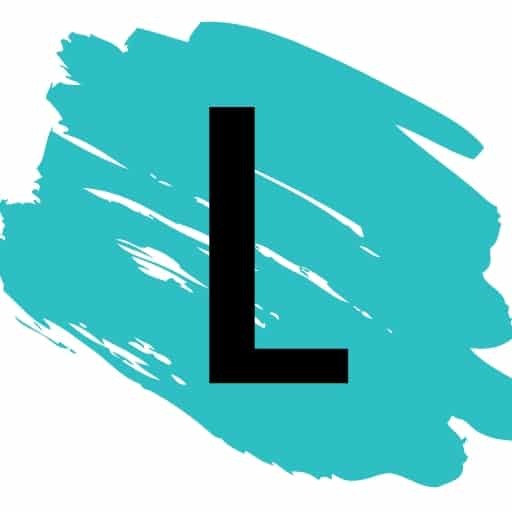 Take it a step further and group your items into different categories and label each one. Smart thinking. 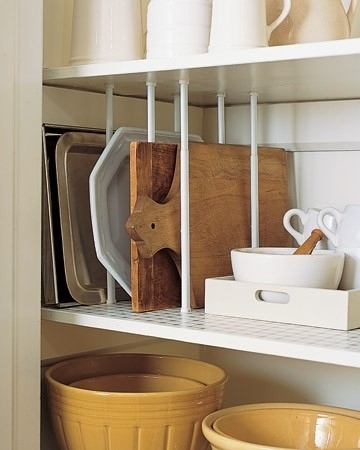 Instead of stacking your cutting boards, oven trays, and platters, use those short tension rods to create dividers. Now you can place them upright for easy access and visibility, and completely customize the size of your slots. 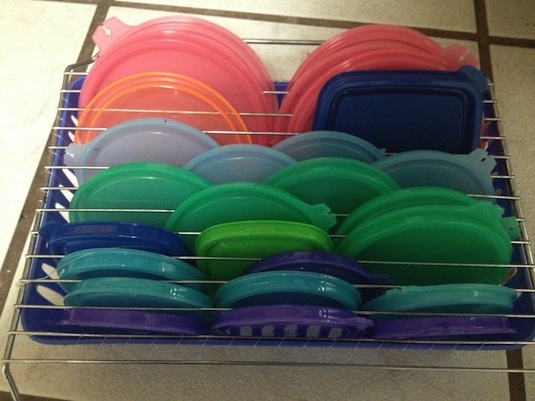 Finding the matching tupperware lid is like finding a needle in a haystack sometimes. It’s a huge problem in my kitchen! I found this DIY Lid Storage Rack on Pinterest (I believe it was uploaded directly because I can’t find another source). The idea is to attach a basket to the bottom of a drying rack with twine or fishing wire — creative and useful little lid rack, if I don’t say so myself.